With neighbours like Lech, Zurs, St Anton and Montafon it’s unsurprising that the resort of Diedamskopf has remained a locals secret. Tucked away in Austria’s Vorarlberg, it’s only 50km from the famous lake side town of Bregenz, but with an hour’s drive to the base of the resort, only those that know how good Diedamskopf is make the pilgrimage. Cartel rider Benny Deeg is one such man. Benny has made Diedamskopf his local resort since he was grom and when we asked him to answer a few questions about his regular riding spot, he was stoked to let the cat out of the bag. With epic backcountry, an uncrowded and pristine terrain park and a day ticket costing less than 40Euros Diedamskopf is a ski and snowboard paradise. My local is Diedamskopf, Austria. I’ve been riding there on and off for about 17 years. Diedamskopf is quite unique, it is small but has very nice diversified terrain. And if you know the place well, it has a huge number of options where you can ride. I didn’t learn snowboarding at the Diedamskopf but almost every Trick I can do, I tried for the first time in Diedamskopf. On the mountain I’ve met a whole bunch of people but the most outstanding for me, was meeting Gigi Rüf at the Diedamskopf and going riding with him. 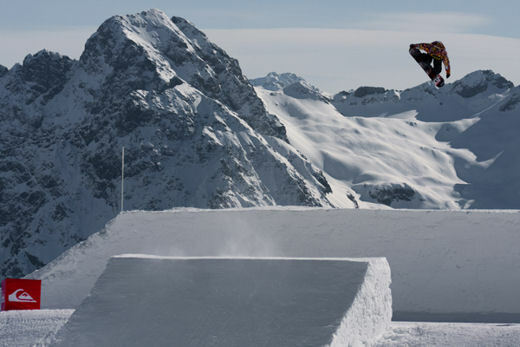 I still remember the first sessions about 12 years ago when there was a Halfpipe at Diedamskopf, Gigi busted out of the Pipe much higher and with more style than anybody else else. How many days a year do you ride there? I try to get there about 20-30 days a season. It usually starts at the middle of December and lasts until mid or end of april. When is the best time to go? Always! Whenever there is powder to ride the mountain, and when there is slush it’s so much fun to ride the park. The Diedamspark is run by the famous Qparks who run parks all over Austria and Switzerland. There are tons of obstacles that are shaped daily, the park is always in an awesome condition. Most of all, I like the big Gap Kicker, it gives you so much hang time and is pretty safe at the same time. Diedemskopf has great backcountry spots all around the resort, but I’m not saying where the best stuff is. The local scene is as diverse as the mountain, of course there are some park kids but there are some some old farts like me that shred the whole mountain. There is a competition of the Qparks tour, and the Ride with Gigi and Friends event. 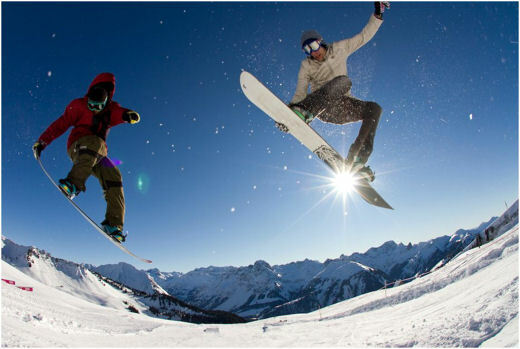 Generally the mountain is more famous for shooting, or just shredding and having fun.